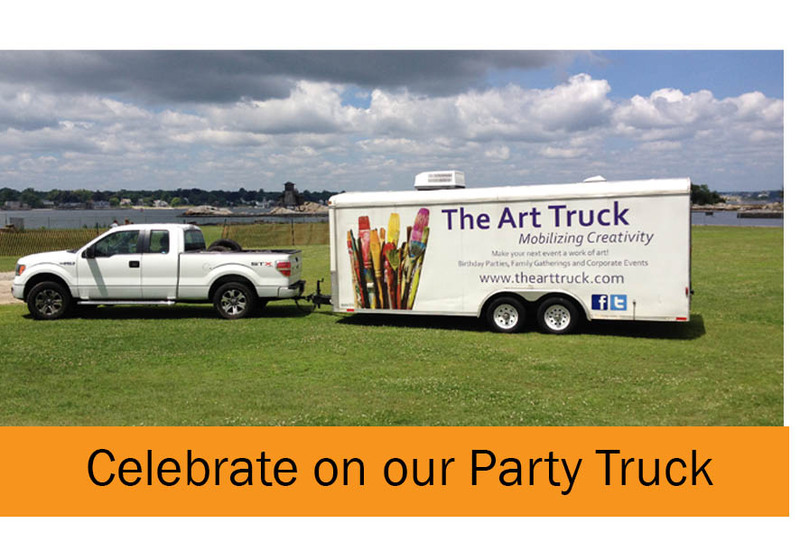 Celebrate and create on our Party Truck! 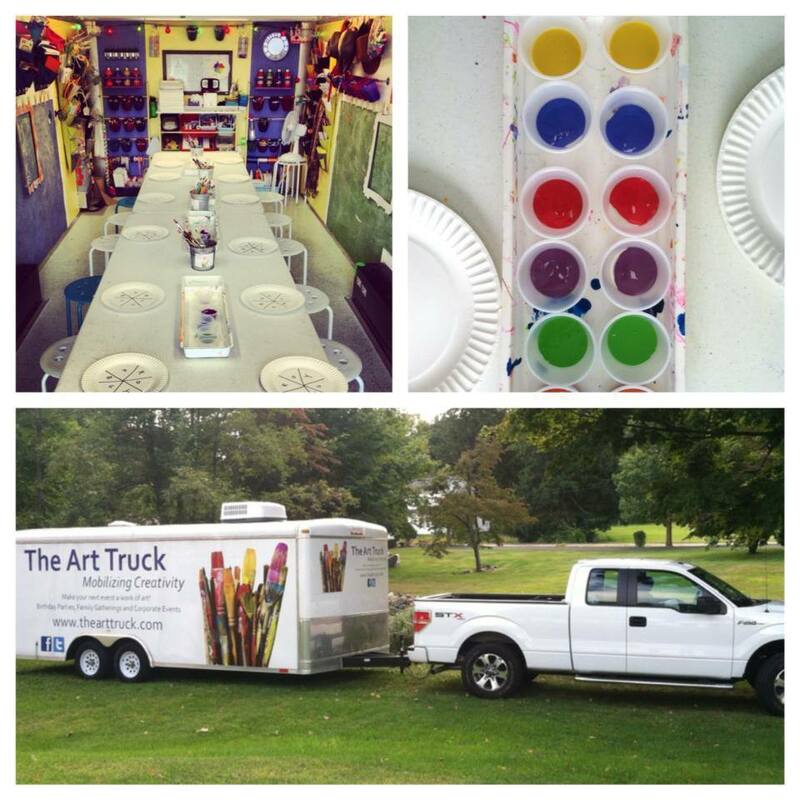 Connecticut’s only mobile art studio delivers fun, educational birthday parties and events to your home, school or office. 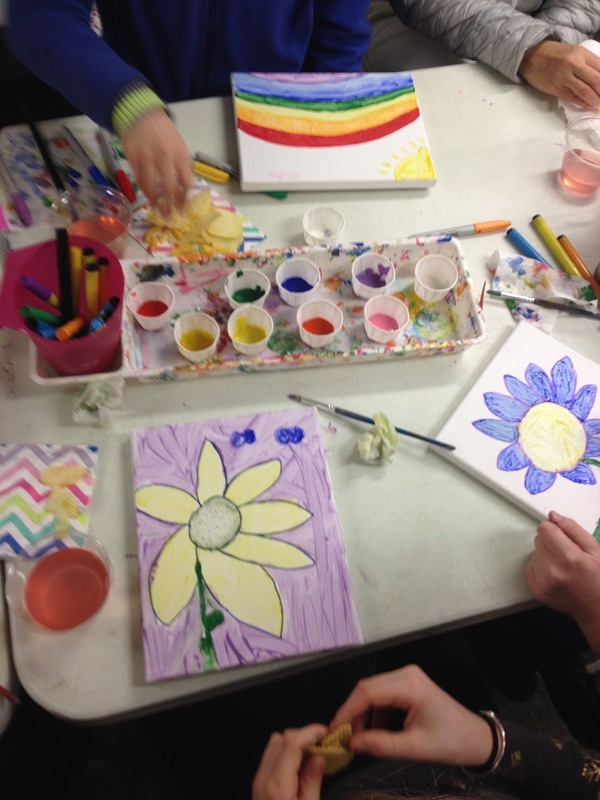 An inspiring menu of hands-on projects offers creative experiences for all ages, while “art-tenders” and creativity coaches make party planning and management a breeze. 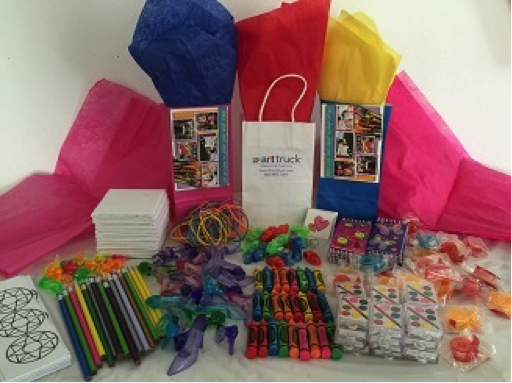 Gift bags, invitations, and snack packs are available to turn any party into a work of art. 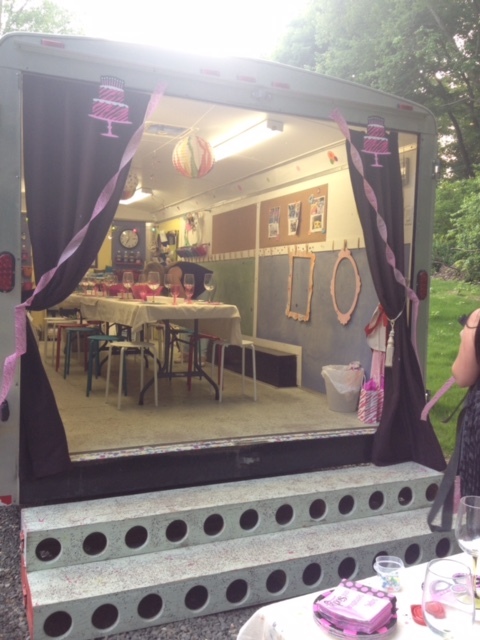 Our Party Truck accommodates 12-16 guests at one time. Larger groups can be arranged. Party Like Picasso: (All Ages) Little Picassos and Georgia O’Keeffes make color, shape and line come alive as they dip brushes into palettes of neon, glitter and primary-color paints to create display-ready masterpieces to take home. Party Like A Robot: (Ages 3-11) One of our most popular birthday party ideas. Calling all engineers, designers and artists to create fantastic, far-out robots! Guests use flexible and shiny materials to build three-dimensional sculptures with space-age purposes and personalities. Party Like A Carousel Pony: (Ages 3-11) Flying ponies embellished with colorful patterns and shiny manes take center stage as guests use markers, gems, sparkles, chenilles and more to create sculptural carousel ponies. Party Like Royalty: (Ages 3-6) Looking for a princess party idea? 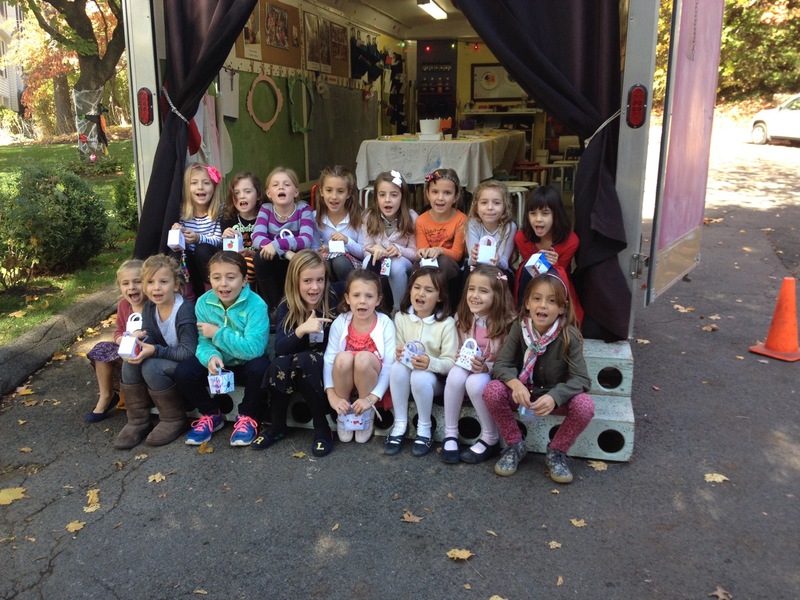 Magic abounds with the ultimate fairytale party! Princesses and princes create fairly-tale adventures with royal crowns and magic wands. 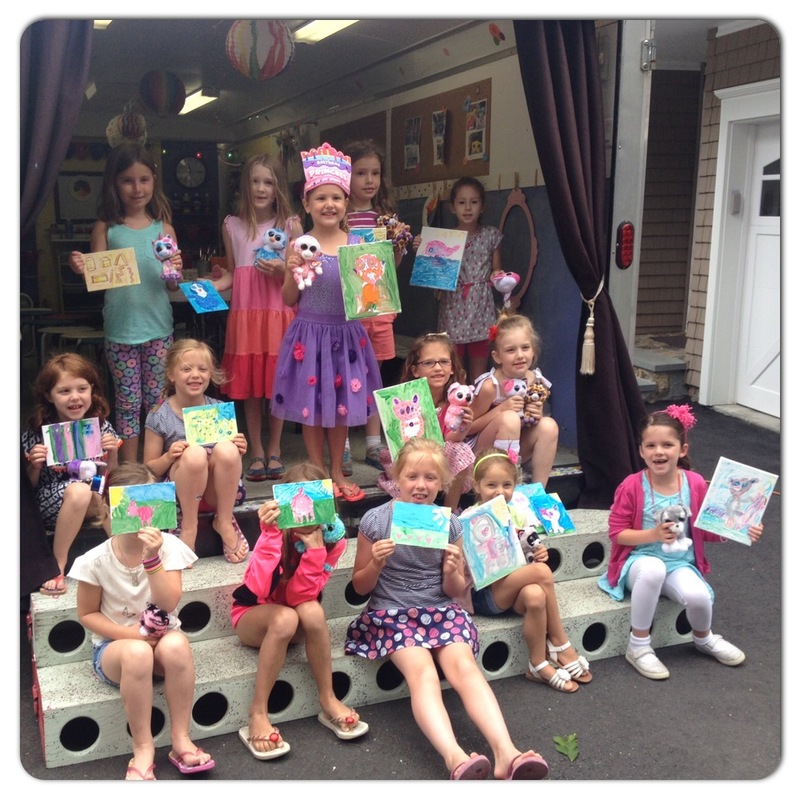 Guest artists use glitter, ribbons, adhesive shapes, gemstones and markers and more as we create a party fit for a royal! 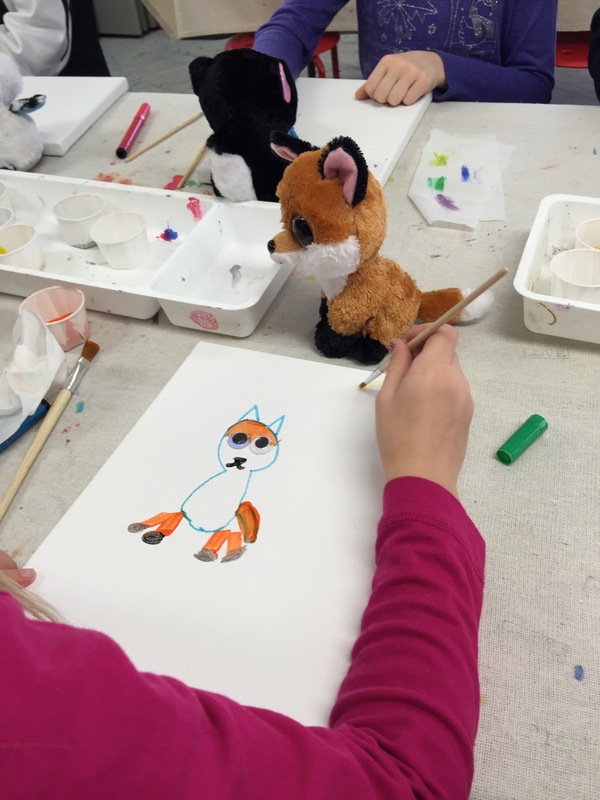 What a Masquerade: (All Ages) Revelers delight in creating characters inspired by superheroes, animals, and more while using markers, gems, papers, faux fur, and ribbons to transform simple mask forms into fun fashion and fantasy wearable works of art! 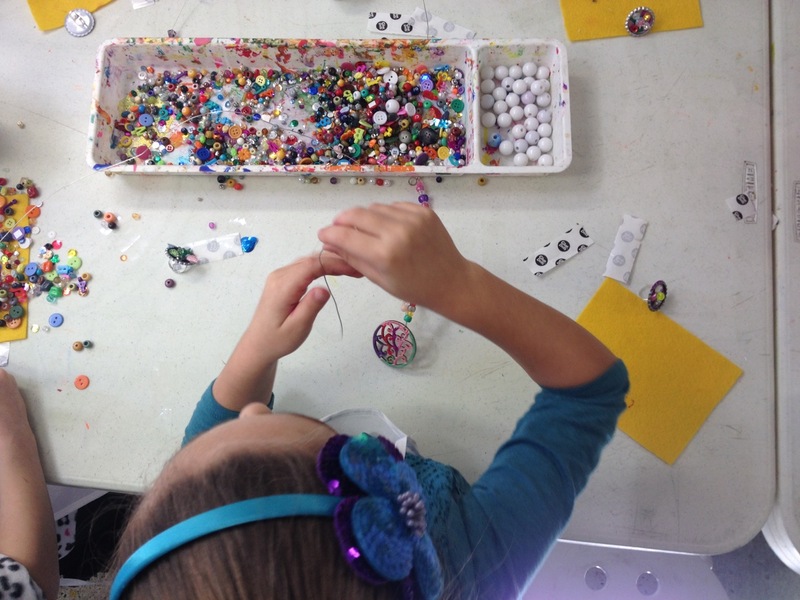 Party With Baubles, Beads and Bling: (Age 6+) Fashionistas make artistic statements while designing chic “cocktail” bling-rings, funky necklaces and bauble boxes for keeping treasures. Fun wire, specialty beads, pendants, gems and boxes make this the perfect way to string together fashion flair! Party With Scrapbooks: Stamps, gems, paper, punches, stickers and more bring memories alive as guests create two scrapbook pages: one for the host and one to take home. Guests are encouraged to bring favorite pictures (or copies) for that personal touch. Everyone leaves with artworks and memories to treasure and the host keeps a completed scrapbook created by friends and family to remember the special day! Party Like A Cupcake Chef: (All Ages) Foodies and artists alike will delight in decorating delicious desserts during this edible artwork bash! Guests begin by creating unique cupcake flags or jewelry and then use edible materials to paint dazzling, stained glass cookies. Next, guests indulge in an array of sparkling edible decorations such as frosting, gels, sprays and sprinkles to build luscious sculptural confections. This perfect party ends in song – we bring plates, napkins, candles so you will be singing “Happy Birthday” knowing that there is no mess in your house! Party Like A Celebrity:Glam and ham it up with friends during this Hollywood style party. Choose from fun and fancy props to create chic or geek characters then strike a pose for the camera to capture the shot. Printed photos can be framed and embellished on the spot with gems, glitz, sparkles, markers and more for a fab keepsake of this star-studded event. Assorted costumes and props include: mustaches, goofy glasses, clown noses and bow ties, neon hair attachments assorted hats, fancy feathered boas, dog noses, eye patches, and more.